ACS Asphalt Concrete Solutions, Inc is proud to be a premier asphalt contractor in Arden Hills, MN. For many years we have happily provided the top of the line asphalt paving services to Arden Hills and its residents. We have continuously dedicated ourselves to customer service and professionalism. Our services range from commercial paving services to crack sealing, and everything in between. Give us a call today with any, and all, of your asphalt paving needs! Arden Hills is a city located in Ramsey County in the U.S. state of Minnesota. 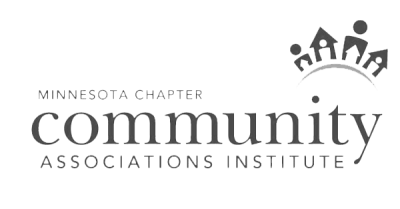 Arden Hills has an estimated population of approximately 9,900 residents. The city itself is located about 8 miles north of the St. Paul- Minneapolis metropolitan area. Arden Hills is home to the headquarters of Land O’Lakes and Catholic United Financial. These two organizations have helped to increase the growth of the region by providing jobs and opportunities to families. The city of Arden Hills was originally incorporated in 1951. At the time, about 33% of the city’s land was owned by the federal government. The Twin Cities Army Ammunition Plant (TCAAP) was built to help support the WWII munition needs of the United States. Since then the U.S. Army has declared over 500 acres as excess, over 400 acres for private redevelopment, with the remainder becoming local public land use. Over 1,700 acres are still used by the U.S. Army and Army Reserve for training purposes. Arden Hills is also home to two private universities. Bethel University and Seminary are located in the city, and the University of Northwestern – St. Paul is located on the Roseville – Arden Hills Border. Arden Hills offers a number of activities for residents and visitors of the area to enjoy. ACS Asphalt Concrete Solutions, Inc is happy to continue providing top of the line asphalt paving services to Arden Hills and its residents. Read About a Recent Arden Hills Asphalt Job! ACS Asphalt Concrete Solutions, Inc is a proud provider of asphalt paving services in Arden Hills, Minnesota. For many years, we have been a top asphalt company in the area. Our team of asphalt experts are highly knowledgeable and extensively trained in all things asphalt. Whether you are interested in commercial paving services or simple crack sealing, we are the paving contractor for you. Make sure to give us a call today for a free evaluation! We received a call recently from a local store that was looking for parking lot maintenance in Arden Hills. We spoke with the manager in order to determine their needs and the scope of the asphalt paving project. The manager explained that they had recently worked with another asphalt contractor in the area. Unfortunately, they had been unsatisfied with the work of the other company. They were contacting us for sealcoating and striping services in the parking lot. We assured them that we were the asphalt contractor for them! One of our asphalt experts visited their parking lot in order to evaluate the parking lot condition and provide a thorough quote to the client. After further consulting the property manager, we agreed to terms on the parking lot maintenance project. Our crew began sealcoating the parking lot the following week. By applying a layer of sealant to an asphalt surface, the asphalt received an added layer of comprehensive protection. Sealant protects from unwanted liquids, materials, and chemicals penetrating the asphalt surface. This will help to extend the life and health of your asphalt paving surface. 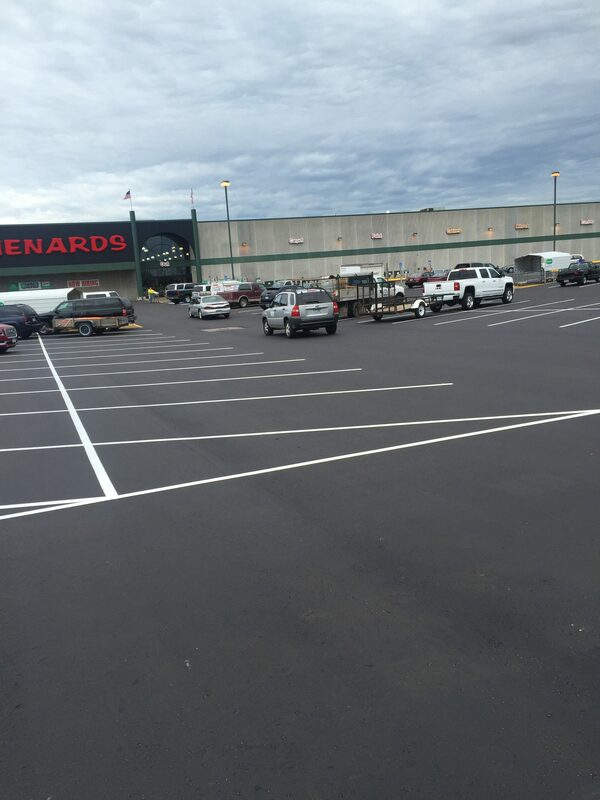 We finished the asphalt maintenance project in Arden Hills by striping the parking lot. A well-planned striping job will create an efficient and effective flow of traffic in your parking lot. If you are looking for an asphalt company in Arden Hills, make sure to give us a call!